Sorry Guided Missile, but you won’t be missed. 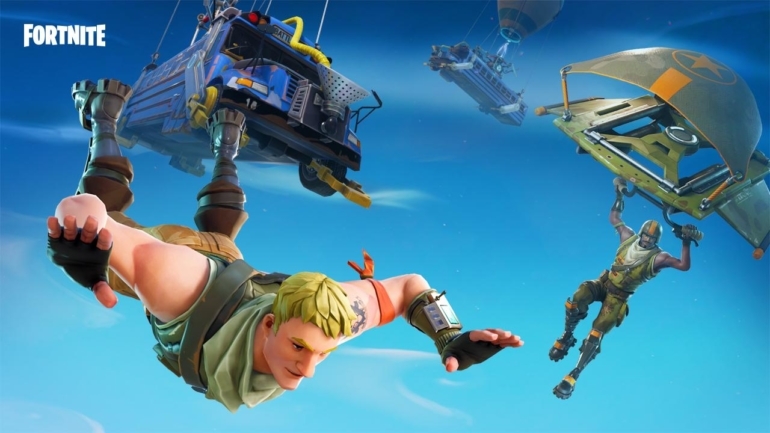 The Fortnite: Battle Royale community has been asking for several changes to the game, and Epic Games is set to deliver. Epic made a Reddit post discussing the latest Fortnite update, which will include fixes for peeking and weapon swapping, as well as removing the Guided Missile from the game. Most Fortnite players will be thrilled to know that the Guided Missile is heading into the vault. This weapon was introduced at the end of March, and many players instantly realized how strong it was. The ability to shoot a controlled missile into the air and scout ahead became a key strategy while trying to obtain Victory Royales—and the Guided Missile also packed a mean punch if it exploded near an enemy. Additionally, Epic “unintentionally introduced a bug around peeking over structures and edges” in Update 3.5, which caused players to accidentally shoot their own buildings. The developer will be reverting this change in Update 3.5.2 later this week, and Epic plans to take its time to evaluate a solution for this original issue. Finally, Epic tried to balance quick switching guns by introducing weapon equip times. But now, the developer will make a few changes to this new mechanic in a hotfix later today. The weapon switch delay will be reverted for Snipers and Crossbows, but it’ll remain on Shotguns, the Revolver, Hand Cannon, and Rocket Launcher. “These two changes are an iterative step in taking another look at our weapon swapping and improving it for the long run,” Epic said. Most Fortnite fans will be happy with all of these changes as Epic continues to try to make the game as enjoyable—and fair—as possible.